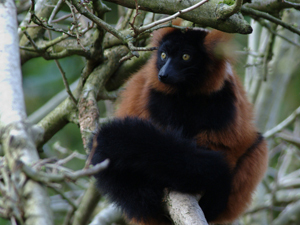 Lemurs, and therefore Madagascar, are fascinating for a number of reasons. Madagascar is the only place in the world one can find these incredible (and adorable) creatures in the wild. Lemurs are primates, and share a common ancestry with monkeys, apes and humans. However, lemurs are the only form of primate found on Madagascar, calling back to a time where all primates resembled the curious creature. When Madagascar broke off from the African continent around 160 million years ago, lemurs on the island were left without natural predators. Lemurs had no environmental reason to evolve by the time monkeys appeared 20 million years ago, and have remained thus until today. This fascinating bit of evolutionary history contributes to Madagascar being labeled one of the four major regions that primatologists study, along with both North and South America, southeast Asia, and all of mainland Africa. Though it is only one of ninety two countries with a wild primate population, it contributes to twenty one percent of all primate species. Thanks to their ancient relation to other primates, including humans, studies conducted on lemurs examine their social behavior and ecology. 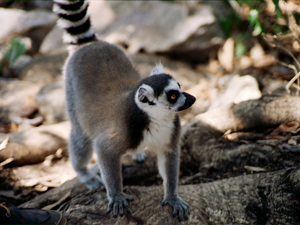 The nearly sixty different types of lemurs present on the island give us different insights into evolutionary adaptations. Much like the Galapagos Islands in Ecuador, Madagascar acts as an isolated natural laboratory in which to study a nearly completely different ecology. And that, our friends, is the deal with lemurs.